Hence, “Mobile Eye Clinic” established on June 1, 2011 with the support of Azercell, to carry out examination and treatment of children who are deprived of parental care provides the free service to elderly, low-income families and the intendly displaced people as well. This year, in february, the doctors of the clinic visited Rehabilitation and Sociological Center N 5, under “Mushfig” Public Union for Assistance to Disabled Children located in Sahil settlement of Garadagh district. 25 children received ophthalmological check-up within the framework of the project. Kids who needed were assigned prescriptions and provided with eyeglasses as well. Notably, all the examination and treatment services within the project are conducted by “Caspian Compassion Project” Public Union. “Mobile Eye Clinic” visited most of the boarding-schools and houses for the elderly people located not only in capital city, but also in most districts of Azerbaijan. It is worth to mention that, during 2018, Azercell’s “Mobile Eye Clinic” provided free medical check-up to 1368 people. Since its establishment, approximately 7500 people have benefited from the free medical service of the clinic. The leader of the mobile communication industry, the largest taxpayer and the biggest investor of the non-oil sector of Azerbaijan “Azercell Telecom” LLC was founded in 1996. With 49 percent share of Azerbaijan’s mobile telecom market Azercell’s network covers 99.1 percent of the territory (excluding the occupied territories) and 99.8 percent of population of the country. Currently, 4.5 million subscribers choose Azercell services. Azercell has pioneered an important number of innovations in Azerbaijan, including GSM technology, advance payment system, mobile internet services, Metro coverage, 24/7 call center service, 7 day/week Front Office service, M2M services, one-stop-shopping approach Azercell Express offices, mobile customer services, Online Customer Care and Social Media Customer Care services, mobile e-signature service “ASAN Imza” etc. 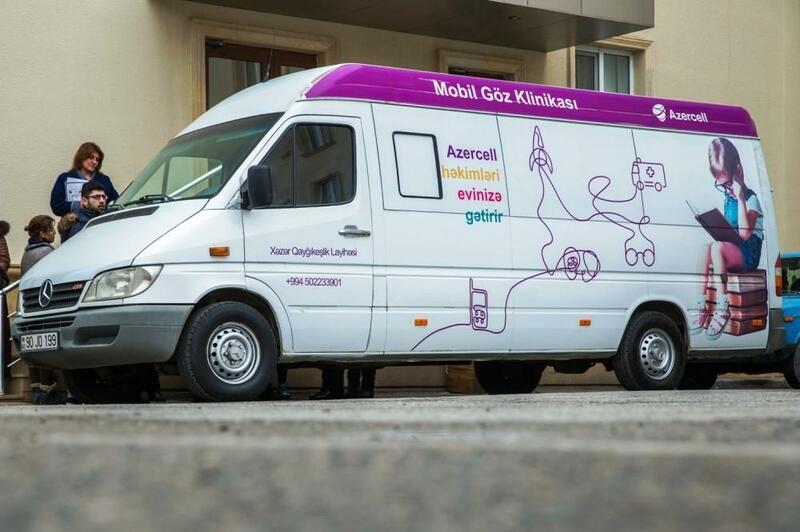 Azercell deployed first 4G – LTE services in Azerbaijan in 2012.